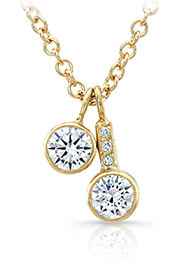 The Ever US™ Two Stone Collection, when friendship and true love come together in a beautiful design. Share your love story with us. 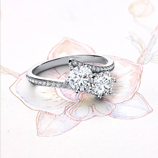 The Two Stone diamond ring features two beautiful diamonds. 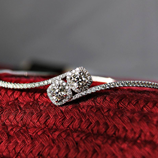 One for your best friend, one for your true love. I noticed him looking at me and smiled. He raised his glass and smiled back. ‘Have we met before?’ I asked. She loves her job and I love how she lights up when she talks about it. I find writers so intriguing. He imagines other worlds and shares them with everyone. It’s great to find someone who understands me, someone who has ambitions like me, but is also always there to support me. 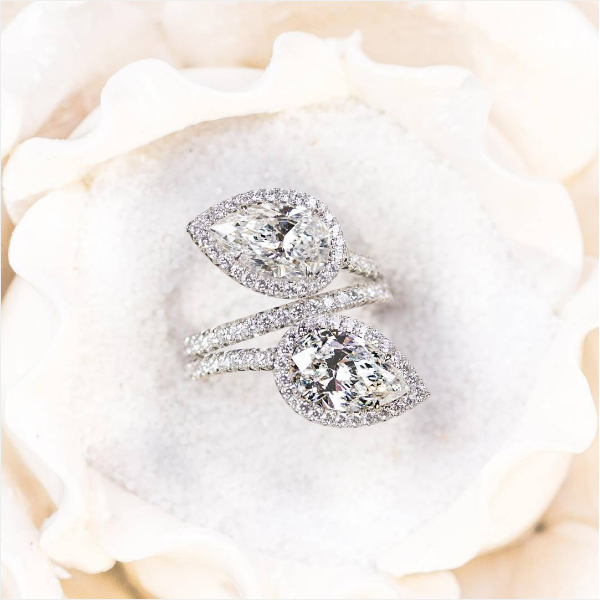 The Ever US™ Two Stone diamond ring features two beautiful diamonds. One for your best friend, one for your true love. When you turned around and looked at me everything and everyone around us disappeared. When you leaned towards me, I knew it would be a moment we would never forget. But I love going with you as hearing your laugh makes me smile. There is nothing quite like the sparkle in your eyes when the music starts. Although you like to read novels and I love cooking, we love spending this precious time together. I keep an eye out for new spots for you to photograph as I ride past beaches or into the hills. I love capturing the places we visit. 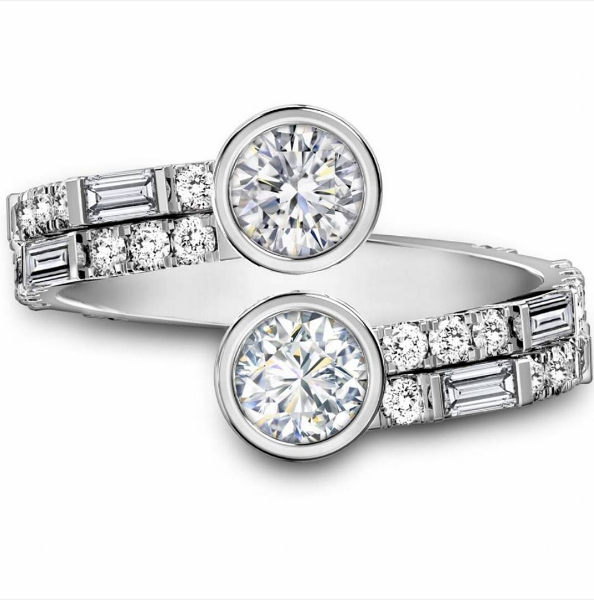 A beautiful Ever US™ Two Stone diamond ring, designed to reflect the way you shine together. 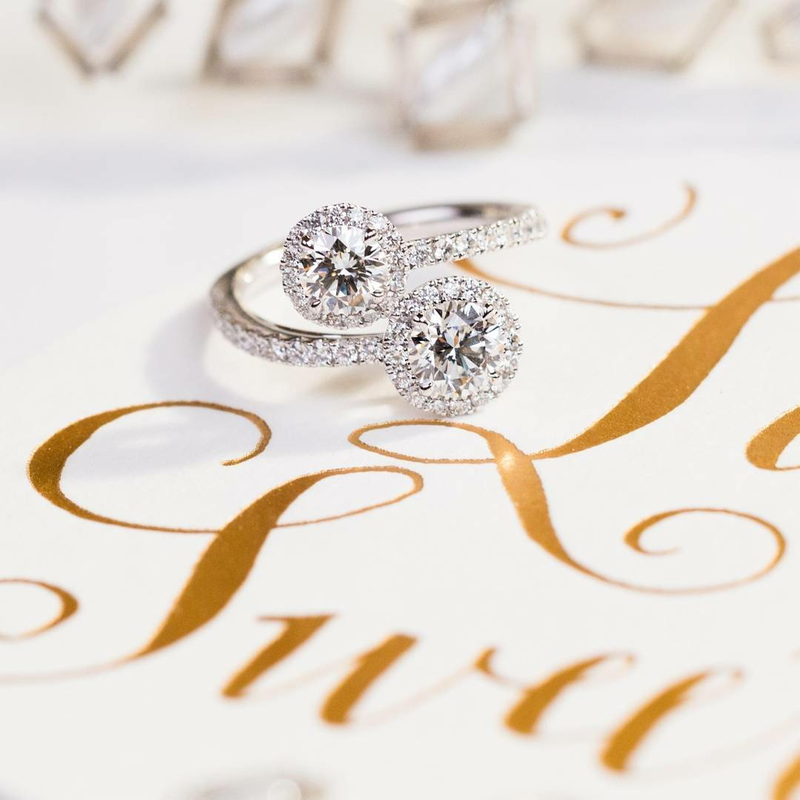 Sign up to learn more about Forevermark diamonds and our rigorous selection process, as well as staying up-to-date with all our latest news.